As a reward to finishing the latest watercolor book cover jacket painting, I decided to paint an acrylic canvas work with large black-eyed susans. I am not a floral artist and wanted to just have fun. So, this is what I did. First, I drew in the flowers with a pencil. . I then began painting in a base background of dark greens, cobalt blue, some crimson, and just kept adding colors haphazardly. It was just mindless fun. In the next stage, I painting green lines, different colors of green and pseudo leaf shapes on top of the background colors. 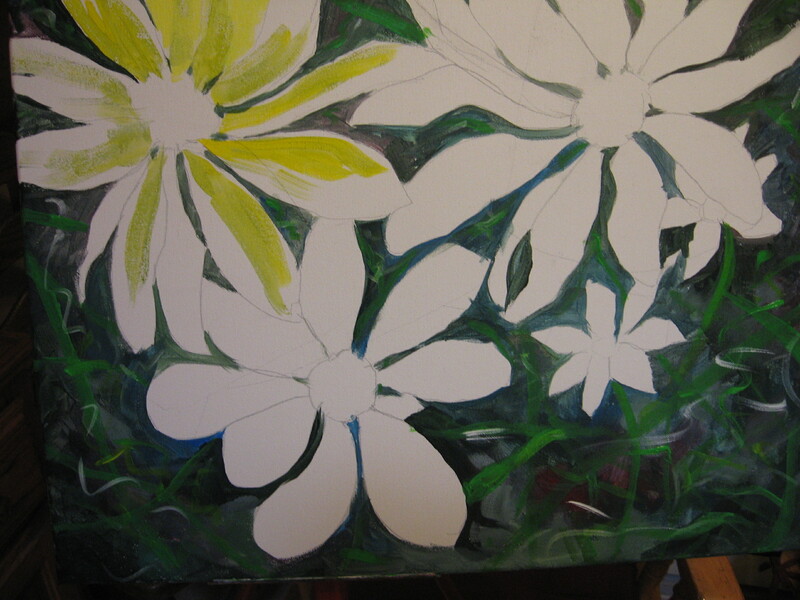 and then began to paint the flowers. 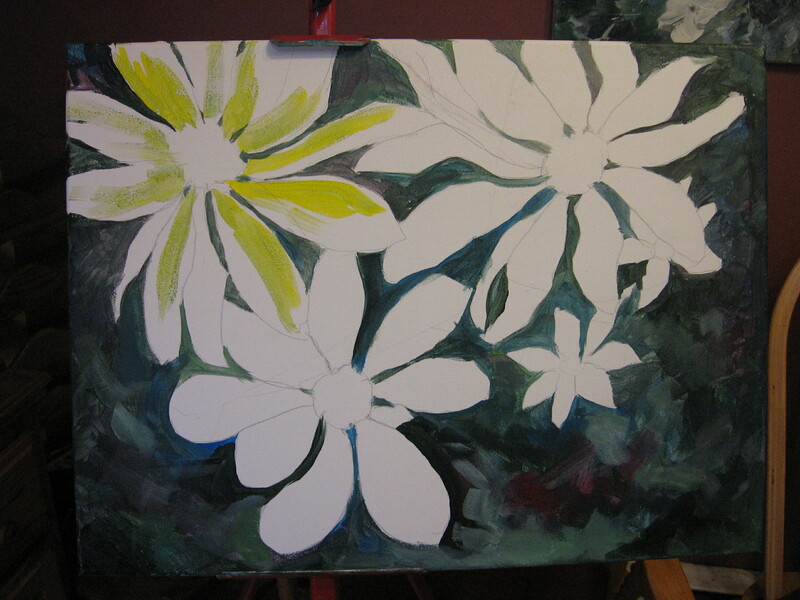 Finally, I filled in the flowers with yellows, oranges and white, added the brown centers and finished it. 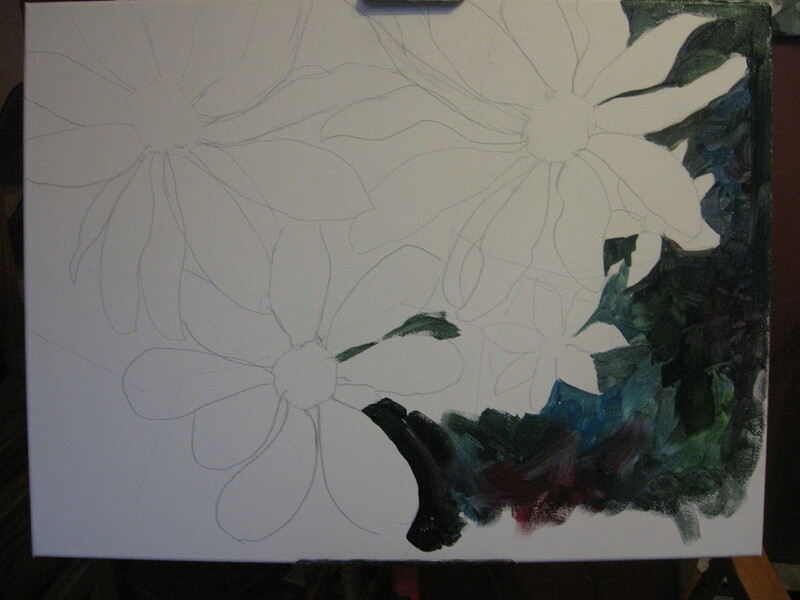 Outlined some of the petals with white so they would stand out. And my silly, fun painting was complete. A great afternoon’s fun.. Anyone can paint! Art is just expression. Everything is not a contest. And…the human eye sees what it thinks the picture is…detail is not required….Just have fun! Thanks for joining me.